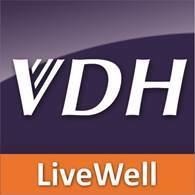 VDHLiveWell is a flagship brand for the Virginia Department of Health Office of Family Health Services (OFHS). The VDHLiveWell brand takes its charge from the agency’s goal and vision for well-being for all Virginians. This site provides information on programs that focus on strengthening the health of families and communities, plus risk avoidance tips and information on how certain issues affect public health. The VDHLiveWell brand promotes all OFHS programs and promotional messages from a unified social media account. Outreach strategically cascades between relevant social media platforms. The office’s social media outreach is available under @VDHLiveWell on the following platforms Facebook, Twitter, Pinterest, and Instagram. Find out more with VDHLiveWell infographics and other materials. Here’s our VDHLiveWell brochure with information about OFHS office and services.